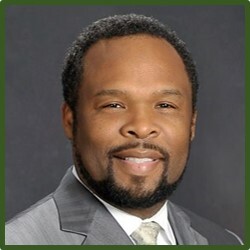 About C. Thomas Gambrell, the Homefront CEO Success Man! Mr. Gambrell attended Columbia University where he received a B.A. in Computer Science. Recognized as a consummate professional, C. Thomas has gone through his career achieving at the highest levels. From becoming a corporate trainer and global project manager, to top producing marketing & sales professional, to respected entrepreneur, he is a model of the practical information he shares on thought and performance excellence. Professional Career: Network and Software Engineer (Sumitomo Bank Capital Markets), Accounting Systems Application Development Project Manager (JP Morgan), Global Learning Management Systems Operations Manager (Goldman, Sachs & Co.), Director of Learning Technology (Cushman & Wakefield). Bethel Bible and Missions Training Center in association with Oral Roberts University School of Life Long Learning.